3. For which purpose do we process your personal data? 4. How do we process your personal information? 5. Will personal data be disclosed to third parties? 8. How do we use Google Analytics and store Cookies? 9. How do we use Google Maps? 1.2 When processing your personal data, we strictly comply with the data protection regulations of the EU General Data Protection Regulation (GDPR) and the Federal Data Protection Act (BDSG). 1.3 Personal data is all data personally referable to you, e.g. IP address, name, address, email data or user behaviour. 1.4 We reserve the right to adapt the contents of these data protection regulations. 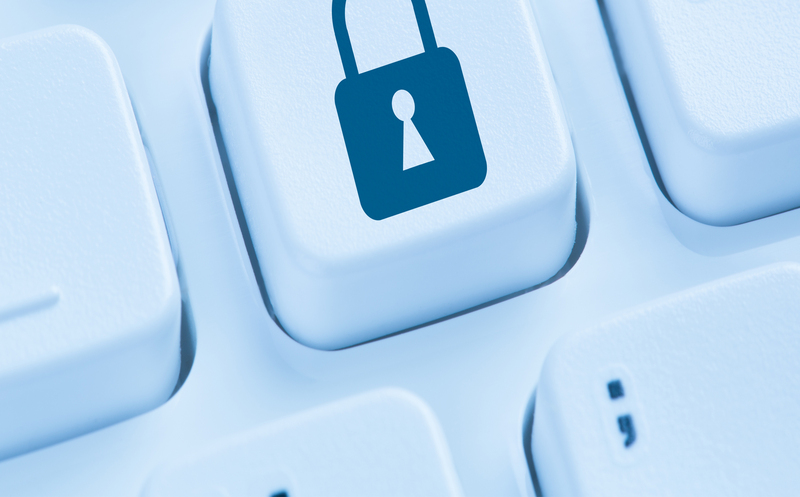 We therefore recommend that you review the data protection provisions at regular intervals. 1.5 According to Article 4 Section 7 of the EU General Data Protection Regulation (GDPR), the DKMS (see legal notice) is in authority. You can reach our Data Protection Supervisor under datenschutz@dkms.de or via our postal address addressed c/o ‘Data Protection Supervisor’. 2.2 In addition to the purely informational use of our website, we offer the option of getting in touch via a contact form that you can use if interested. As a rule, you must provide further personal data which we require to provide the respective service. Your email address, and if applicable your name and your telephone number will be stored by us so we can answer your questions. 3.1 In principle, we process your personal data only insofar as this is necessary to supply a functional website as well as our content and services. Personal data is processed on a regular basis only if this is permitted by legal provisions or the affected person has given their permission. 3.2 If you visit our website for purely informational use, we collect the following data, which are technically necessary for us to display our website to you and to guarantee stability and security. The legal basis for data processing is Art. 6 Para. 1 sentence 1 lit. f GDPR. 3.3 If you contact us via email or via a contact form, your personal data will only be used for the purpose of responding to your request. The legal basis for data processing is Art. 6 Para. 1 sentence 1 lit. f GDPR. In principle, only our employees receive knowledge of your personal data. We may also share your personal information with recipients who provide services to us, where required or permitted by law. In order to fulfil our tasks, we also have to work together with service providers who may also have to process personal data for this purpose. We limit the transfer of your personal data to what is necessary. These service providers have been carefully selected and commissioned by us, are bound by our instructions and are regularly checked. They are contractually obliged by the DKMS to use personal data they receive in this context only for the permitted purpose. We assure you that we do not sell or rent your data to other companies or organisations. Under no circumstances will we use your e-mail address or other data for other purposes without your explicit consent. 6.1 In principle, we store data that you have sent to or shared with us only for as long as necessary until the purpose of sharing the data has been fulfilled, you revoke your consent, have filed an objection against the processing or have requested the deletion of your data. 6.2 Insofar as you use our website only for informational purposes, the data processed will be deleted if they are no longer required to display our website or to ensure the stability and security of the website. 6.3 Insofar as you contact us via our website by using email or one of the contact forms, we will delete the data collected in this context after its storage is no longer required, or otherwise limit its further processing if we are required by the law to continue retaining it. 7.2 In the event that you have shared consent to process your personal data, you can revoke this consent at any time. Such revocation affects the permissibility of processing your personal data, once you have approached us regarding the same. In taking this step, you can restrict (limit processing) the revocation of the processing of your personal data to certain purposes. 7.3 To exercise your rights as listed above, please send your request to the following address: DKMS gemeinnützige GmbH, Kressbach 1, 72072 Tübingen or via email at: datenschutz@dkms.de. 7.4 You also have the right to complain to the supervisory authority on data protection about how we process your personal data. 8.1 We use a web analytics service on this website: Google Analytics, a Google Inc. („Google“). The information generated by the cookie about your use of this website (including the IP address) is usually transmitted to a Google Inc. server in the USA and stored there. However, if IP anonymization is activated on this website, your IP address will be truncated by Google within the member states of the European Union or other parties to the Agreement on the European Economic Area. Only in exceptional cases will the full IP address be sent to one Google server in the US transferred and shortened there. On behalf of the operator of this website, Google will use this information to evaluate your use of this website, to compile reports on the visitor’s activities on the websites of the DKMS and to provide further services to the DKMS related to the website usage and internet usage, Google will also transfer this information to third parties if required by law or if third parties process this data on behalf of Google. Google guarantees that your IP address will never be associated with other Google Inc. data. 8.2 The IP address provided by your browser as part of Google Analytics will not be merged with other Google data. 8.3 You have further the possibility, in addition to fig. 7.2, to prevent the collection of the data generated by the cookie and related to your use of the website (including your IP address) to Google and the processing of this data by Google by using the browser plug-in available under the following link in download and install: https://tools.google.com/dlpage/gaoptout?hl=de. 8.4 This website uses Google Analytics with the extension „_anonymizeIp ()“. As a result, IP addresses are processed shortened, a person-relatedness can be excluded. Insofar as the data collected about you is assigned a personal reference, it will be immediately excluded and the personal data will be deleted immediately. 8.5 We use Google Analytics to analyse and regularly improve the use of our website. With the statistics we can improve our offer and make it more interesting for you as a user. For the exceptional cases in which Personal Information is transferred to the US, Google has submitted to the EU-US Privacy Shield, https://www.privacyshield.gov/EU-US-Framework. The legal basis for the use of Google Analytics is Art. 6 para. 1 sentence 1 lit. f DS-GVO. 9.1 On this website we use the offer of Google Maps. This allows us to display interactive maps directly on the website and enables you to conveniently use the map function. 9.2 By visiting the website, Google receives information that you have accessed the corresponding subpage of our website. In addition, the data specified under Section 2.1. of this data protection declaration will be transmitted. This is regardless of whether Google provides a user account that you are logged in with or whether no user account exists. If you are logged in to Google, your information will be directly associated with your account. If you do not wish to be associated with your profile on Google, you must log out before activating the button. Google stores your data as usage profiles and uses them for purposes of advertising, market research and/or demand-oriented design of its website. Such evaluation takes place in particular (even for unlogged-in users) to provide demand-oriented advertising and to inform other users of the social network about your activities on our website. You have the right to object to the creation of these user profiles, wherefore you must contact Google to exercise this right. 9.3 Further information on the purpose and scope of data collection and its processing by the plug-in provider can be found in the data protection declarations of the provider. There you will also find further information about your rights in this regard and setting options for the protection of your privacy: https://www.google.de/intl/de/policies/privacy. Google also processes your personal data in the USA and has submitted to the EU-US Privacy Shield, https://www.privacyshield.gov/EU-US-Framework. Do you have any questions about our privacy policies? Please contact our Data Protection Supervisor via email: datenschutz@dkms.de. You have the right to object at any time to the processing of your data based on Art. 6 para. 1 f GDPR (data processing on the basis of a legitimate interest) or Art. 6 para. 1 e GDPR (data processing in the public interest), if there are reasons for this arising from your situation. This also applies to profiling based on these provisions within the meaning of Art. 4 No. 4 GDPR. If you object, we will no longer process your personal data, unless we can prove compelling reasons worthy of protection for the processing, which outweigh your interests, rights and freedoms or the processing serves to assert, exercise or defend legal claims.